Can players learn to read on defense, or is it an innate ability? Is reading something you can teach players? That’s the basis of a question asked by a fellow coach. So I’ve been thinking about this one for a while: can you teach a player how to read on defense or is it a natural ability? I feel like no one ever taught me to read; I was just naturally good at it. For those of you that say you can teach it, what drills/tools do you use? My initial response is that there is no such thing as a natural ability to read the game of volleyball. Reading in a sport is entirely contextual in nature. There may be experience from other sports which help, and certainly visual acuity plays a part, but in order to translate what you see into some kind of understanding of what’s coming you need knowledge and experience. So, to my mind, what someone sees as “natural” reading ability probably has more to do with visual ability than actual contextual understanding. I’m happy to hear evidence to the contrary. Lacking that, though, I’d definitely say players can learn to read better. And even if there is a natural element, you can still improve it. That being the case, what can we do to help players read better? Reading is all about picking up the visual cues. That starts, of course, with paying attention. 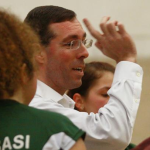 I once had a conversation with a team about reading – specifically about what they were looking at on the other side of the court. One of them, in what was clearly a moment of revelation, confessed that she’d just been watching the ball. Obviously, that’s not nearly enough. So what are the players looking at? What should they be looking at? On a gross level, they need to understand the situational context. Is the setter front or back row? Where are the hitters located? What is the quality of the pass? These are the sorts of things that allow you to narrow the range of possible actions by the opponent. 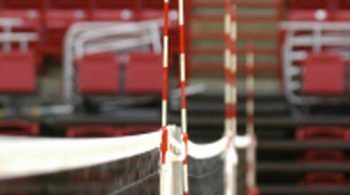 At a more micro level, what is the hitter’s line of approach? Where is the ball relative to the attacker’s hitting shoulder? Is their approach fast or slow? Where’s your block? How fast is the set? Will your middle close in time? 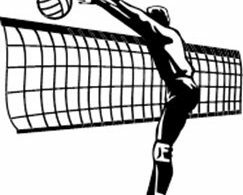 How far off the net is the set? Players need to constantly watch and look for the cues that will tell them what’s coming next. Your job as coach is to teach them what those cues are. You can teach the players what to look for, but they will only really learn to do that if you put them in position to do so. As I noted in The two purposes of drills and games, that means putting them in the proper game context and having the right platform for getting them the feedback they require. The first part of that is pretty easy. There are all kinds of games and drills that can create the context you need. The trick is to get the right feedback. To do so, you probable need to have a very similar view of the action as the player. For example, if you’re working with your defender playing in Position 6, you likely need to stand behind them so you can see what they see. It’s really hard to provide feedback to them if you don’t know what’s in front of them. That said, an alternative to standing behind them is placing a camera there. This can be an excellent way to give the player feedback. If you use video delay or otherwise can rewind and let them see things again, they can actually have a second look. There’s an element to the first part of the section above that I think needs to be addressed. Sometimes you need to take players out of their normal pattern to get them to expand their reading capacity. Among young players especially there is a tendency to play their “spot”. They go to a position on the court and just stand there waiting for the ball to come. No real reading involved. Why? Because that’s where Coach told them to be. In order to change that mentality you have to put the players into a different situation – one where they can’t just play “their position”. A great example of this is doubles (2 v 2) and other related small-sided games. You can also do it in a larger context by expanding players’ area of responsibility. For example, you can play a 5 v 5 game where it’s 3 front row and 2 back row players. That type of situations requires defenders to cover more area, encouraging them to get better at reading. You can also flip that around for the block and play 2-up/3-back. Now it’s the blocker who need to cover more area. In the Spring of 2017 one of our main priorities for the Midwestern State team was to upgrade our defensive capability, especially in the area of reading. We did a lot of sand doubles, small-sided games, and the type of 5 v 5 I mentioned above. As noted in the last section, though, it’s not just about putting them in situations that encourage reading. You also need to consistently get the players good feedback. 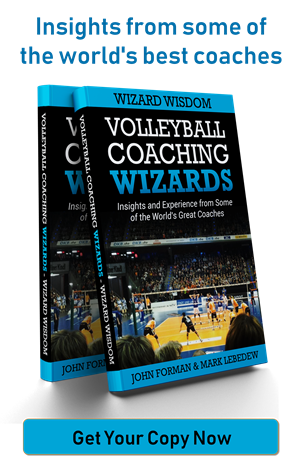 1 Response to "Can players learn to read on defense, or is it an innate ability?" 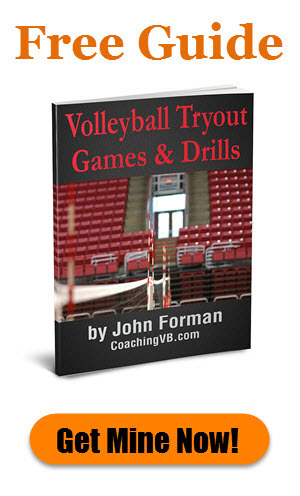 Since there are no general abilities or skills and they have to translate into the real game, I completely agree: You can and have to learn reading in volleyball. I want to add that since 80 % of our game are mental, the mental approach to reading (like you mentioned) might be the most important.